I remember back in 2010 when Microgaming announced the new slot game Thunderstruck II during the ICE show in London. 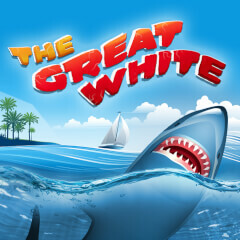 The first version was launched in 2003 and was the favorite slot game among players in Europe. Nowadays some players are chatting about the difference of Thunderstruck I and Thunderstruck II and I am surprised that most of players still prefer to play on Thunderstruck I. 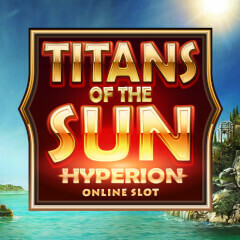 There are some important differences in the second version of the slot game and I can quote you the 4 free spins that must be unlocked for players increase the chances of winnings. Both versions of Thunderstruck slots are using beautiful graphics and sounds and the gameplay is very smoothly in all devices you used to play: desktop computers, laptops, tablets, cell phones... If you play online casinos for a long time, probably you already played Thunderstruck slots and know exactly what to expect when the game starts. 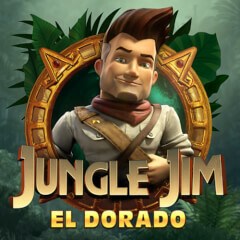 As you can see, the game is in the same style of Tomb Raider in many ways. Another important factor about Thunderstruck slots is the betting limits. You can bet until 10 coins staking $75 per spin in all lines (each coin worth $0.25). To have chances for big wins it's recommended you spin pressing the "BET MAX" button. 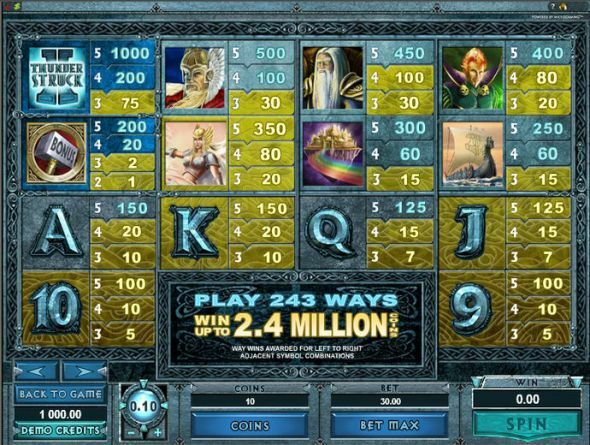 The payout chances is big because the slot has 243 ways to win. The free spin rounds must be unlocked during the gameplay and players can get up to 6X multipliers and 25 freespins. 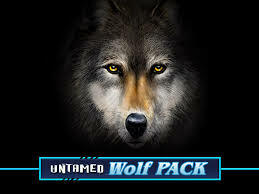 If you like any one of the versions of this slot machine game you will also be impressed with Immortal Romance which is very similar to Thunderstruck in many ways including the free spins rounds to be unlocked. Another good slot game launched by Microgaming is The Dark Knight Rises that is something more innovative and modern. I may say that The Dark Knight Rises makes all other slot games seem old due the use of other technologies. By the way, you can play all these slot games in free versions here at Casino Billionaire. Check the top menu to navigate and find our free slot games. The two versions of Thunderstruck slots are different and it's very personal to choose the best. It depends if you want low stakes, big wins, penny slots action, etc. In terms of graphics and sounds both games are perfectly well projected. For those looking for long term gameplay and winnings, Thunderstruck II is the recommended game but the big winnings here is rare. Thunderstruck 1 slots is for those looking for big wins and willing to stake higher limits. So, check the bankroll you want to stake and decide which game version is the best for you. Where to play Thunderstruck II Slots ? All free spin rounds in this game is not so much significant but still good for multiply your winnings and increase your payouts. Three scatters will trigger the free spin round and you have to pick one to start. 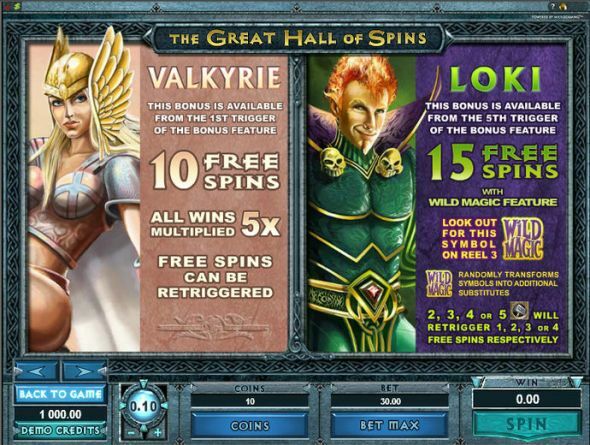 Valkyrie award you with 10 freespins and winnings multiplied by 5. 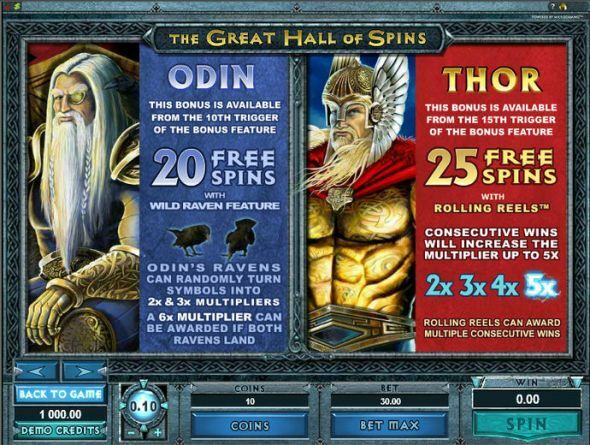 Loki, 15 free spins - Odin, 20 free spins and Thor 25 free spins. Even the variety is good, normally you will need to get Valkyrie free spins round to get better chances to increase your bankroll. 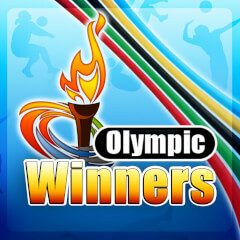 The payout still low but with the 5x multiplier the thing will start being more interesting for your paycheck. 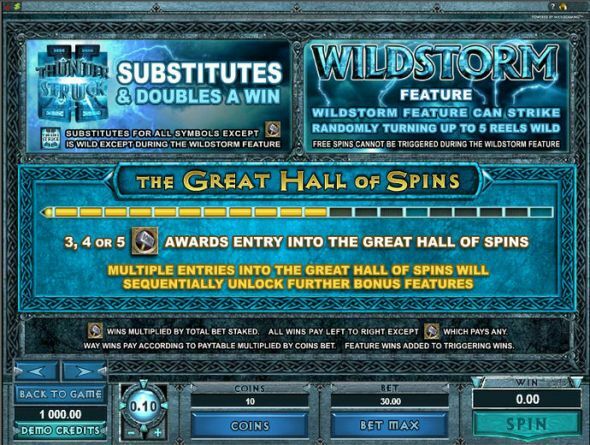 If you play slots regularly and want to go deeper with Thunderstruck II, you should check some slot tournaments running in different sites and games. Comment: Thunderstruck II slot to play free or real money. This Microgaming slot machine game still very popular and here you can read a review and comparison between Thunderstruck I and II. The Thunderstruck II slot free version is available instantly without signup. (no registration and no download required to play for fun). Read more here !